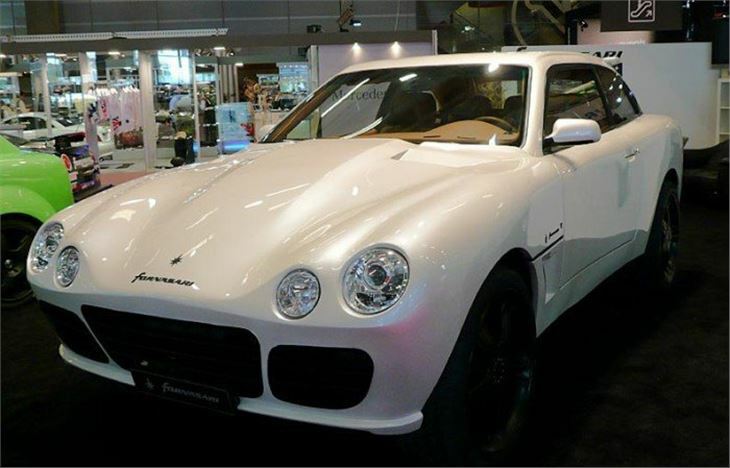 Range of Italian fibreglass bodied four wheel drive off road luxury/high performance cars. RR 600 has 600PS supercharged Chevy V8. 4,400mm long x 2,060mm wide x 1,640mm high. Gigantic 23" wheels. Weight 1,600kg. Other models have 650PS, two or four doors, cabrio top, yacht tender body or are build as out and out desert racers. Performance 0-60mph 3.5 to 4 seconds. Top speeds 280 - 300kmh. New for 2009 RR99 4 door coupe. Price range up to 180,000 Euros.